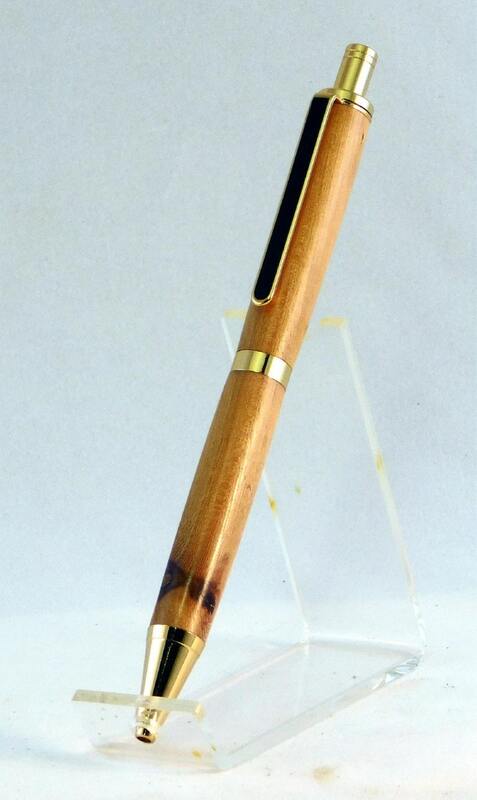 This is a 24kt Gold Slimline Pro click pen made with a rustic looking piece or hickory wood. It has a comfortable feel to it, a little larger than the standard slimline pen. Inside it features a precision click mechanism and a Parker-style refill with black ink.